After that experience, I came home a month later and I ran the biggest franchise through my company in the North West at the youngest age. I didn’t over think it, I just did it because it was what I really wanted to do. The thing about being your own boss is that your results are all up to you. Another thing about being your own boss is it’s really hard to be the only person pushing yourself. You want to stop, and give up, a lot. You don’t want to push yourself. You know nobody is stopping you. I would have many moments during my business season where I would just sit in my car for ever, just watching the windows, finding every reason not to get out and just go knock on people’s doors. I literally had nothing stopping me and yet I found every reason to be stopped. What got me out of the car and off to work each time was remembering what my friend said to me that day. What are you doing up there in the first place? What got me to run that business was to remind myself to just do. As an artist, or even just as a human being, you know this struggle. You could paint. You could write. 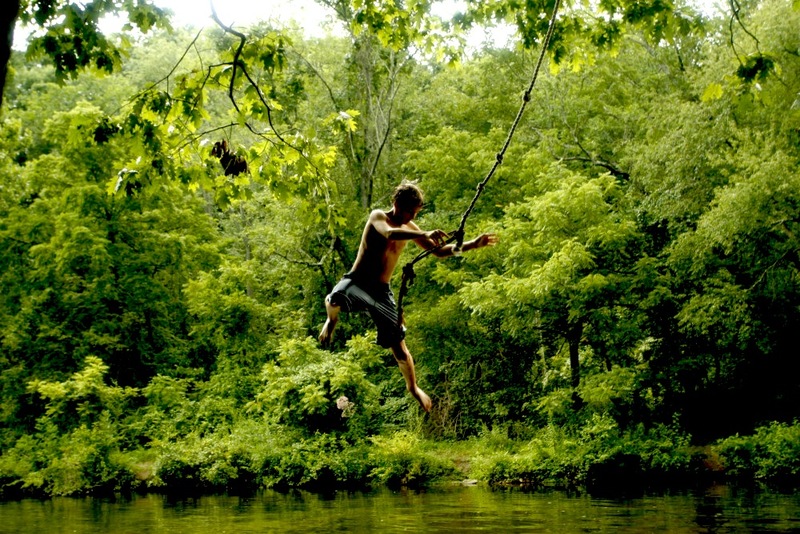 But when you’re hanging onto the rope swing of failure, it is so hard to just let go. Just get some paint on the canvas, some words on the page. There are always those voices of your past reminding you of why it’s a bad idea, or why you should give up your silly artistic ideas and go back to accounting. But you just know that if you were at a desk, you would give anything…anything on earth…to get a brush back in your hand. And that is the push that gets you to jump. The fact of the matter is, you would rather create than anything else on earth. You would rather put all those ideas down on a page than fill out more paperwork. You would sacrifice an easy, cushy job just to be an artist. In order to be an artist, and to continue to be an artist, you have to have some chutzpah. You have to believe in yourself. You have to believe that what you are doing is great; even when it’s not great. Everything you paint, everything you write, everything you create is going to be something…not everything is going to be great: but the point is, you will never get to greatness by doing nothing. These are incredibly important lessons for artists to hear over, and over again. Because we know where the rope swing is. But sometimes it takes a very good friend to push us.